Rabbits enjoy chewing and exploring. 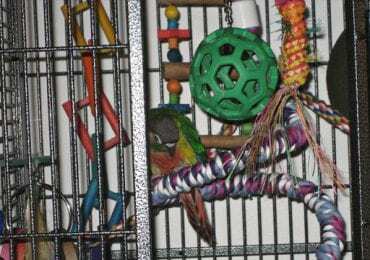 Since these animals are naturally curious, they need toys to help keep them mentally and physically stimulated. If they do not have something to explore, boredom will set in. 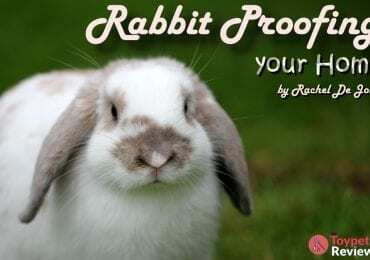 Feel free to review our list of the best toys for rabbits to get some ideas of what items are worth purchasing. Certain toys are hazardous because they feature toxic material or small pieces that your rabbit can choke on when eating. Safety was one of our top priorities when choosing the 10 best bunny toys. We also chose the toys based on their affordability, usability and durability. 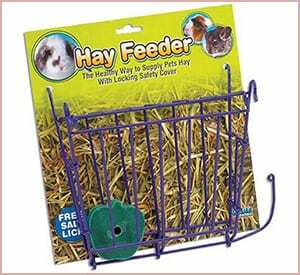 Although primarily marketed as a hay feeder, this product can also be considered a pretty nifty toy for your pet rabbit, since it is colorful, and it challenges the rabbit to snack on the hay from in between the feeder’s bars. Thus, this is a both practical and entertaining product. This logic toy features seven different plastic lids. You hide your rabbit’s favorite treats inside the lids, so that he or she can find them. 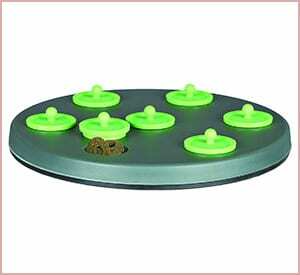 For example, you can fill the holes with dried papaya, apple slices, or blueberries. This logic toy allows you to challenge your pet’s mind. One of the best toys for rabbits on the market is this branch ball. 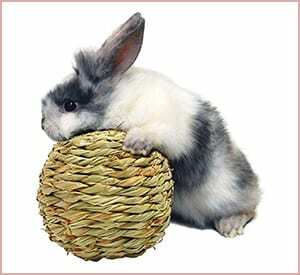 The ball is made of natural willow, which is safe for rabbits to munch on while playing. 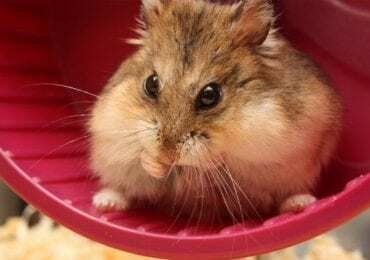 This ball will keep your rabbit’s teeth clean and healthy. In addition, it also helps alleviate cage boredom. 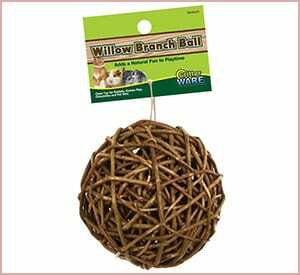 The branch ball can help keep your pet entertained when you are busy. 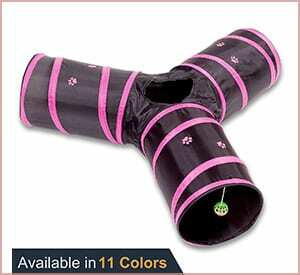 This item is one of the best toys for rabbits, because it can keep your pet entertained for hours. The rolling chew toy consists of dried yucca, which is safe for your pet to eat. Your bunny can roll the toy, toss it around, and chew on it. 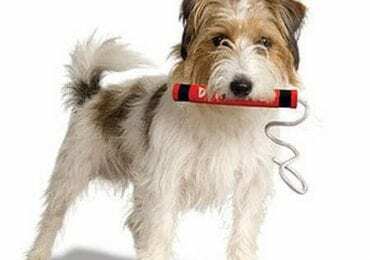 Since this chew toy contains all natural ingredients, it is even environmentally safe. 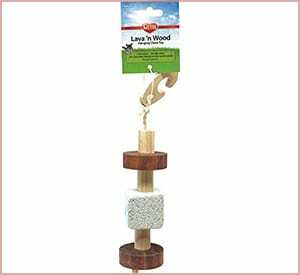 Rabbits love this chew toy because it features both volcanic pumice rock and natural wood pieces. 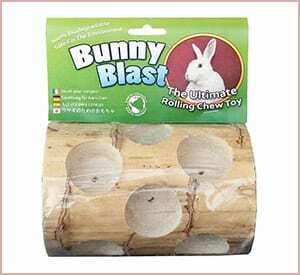 The volcanic rock and wood pieces help keep your rabbit’s teeth clean. This toy comes with a hook, so that you can hang it inside the rabbit’s enclosure. You can bend and shape these tropical fiddle sticks in various ways. The sticks are 9.62-inches long and 11.87-inches wide. People often use them to create a log cave or a stairway. The sticks can help satisfy your rabbit’s natural chewing instincts. 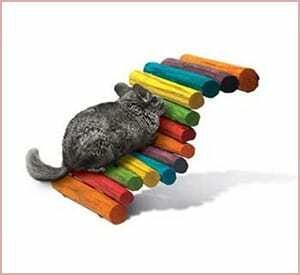 In addition, your rabbit can use the sticks as a cozy place to get some sleep. Rabbits have a natural instinct to burrow and explore. With this grass tunnel, they can hide away while having fun. The tunnel is 13.5 inches long, and consists of hand-woven grass. Your pet can chew on the tunnel all he or she likes, because the grass is all-natural. 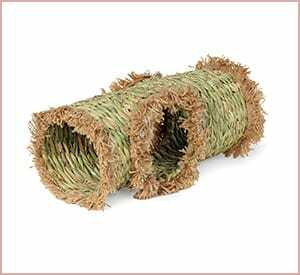 This woven grass play ball can entertain your rabbit for hours. The toy consists of woven grass, so it is safe for your pet to chew on. The ball is 5 x 6 x 9 inches, so it does not take up much room. With that said, it is still tall enough for your bunny to push around for extra enjoyment. This rabbit toy is approximately eight inches tall, and resembles a tree. The toy stands on its own, so you do not need any hooks to hang it from a rabbit enclosure. You can even use this item outside of an enclosure to keep your rabbit occupied. The tree features different toys that your rabbit can chew on. Ideal for: Rabbits that weigh up to 3 lbs. This mini activity zone is one of the best toys for rabbits that weigh three pounds or more. Your rabbit can play under it and on top of it. 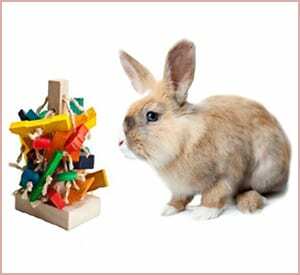 This activity zone also features toys for your rabbit to play with and chew on. You can either place the activity zone inside of a rabbit cage, or leave it in the open when your bunny is roaming free. These three spacious tunnels can entertain your rabbit for hours. 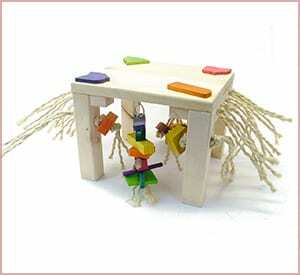 The toy is made of tear-resistant material and has a steel frame, which means that it is durable and sturdy. Your rabbit can roam the tunnels for exercise and self-amusement. This toy is collapsible, portable, and easy to store. You can even wash the toy if your rabbit gets it dirty. There are many great rabbit toys available for purchase. You can even purchase multiple items, so that you can rotate them when your bunny gets bored. If you are looking for a house for your bunny, you can also take a look at our best guinea pig cages top that includes cages suitable for rabbits too. 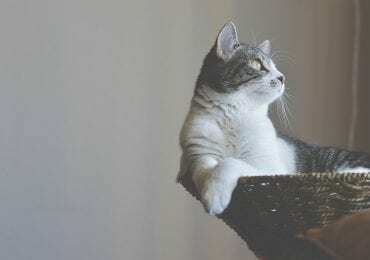 Please share your thoughts about the best toys for rabbits listed above. If you have any suggestions about other rabbit toys that are not on this list, please let us know.